The HTC One Google Edition and Samsung Galaxy S4 Google Edition smartphones (due to receive Android 4.3 this month) have now been introduced at the Google Play Store, and they will become hit favorites for many Android users – particularly developers who do not want to root their devices or install custom ROMs on their current device whenever they want the latest and greatest of Android. 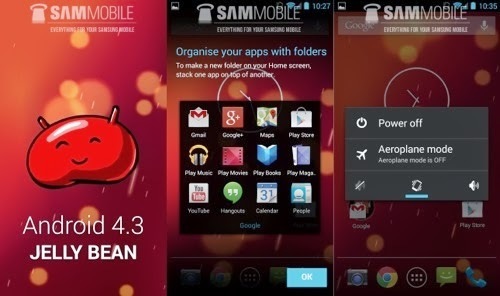 As of earlier this week, developers such as Wasabi decided to finally place some of the new features of the HTC One Google Edition and Samsung GS4 Google Edition as downloadable apps. 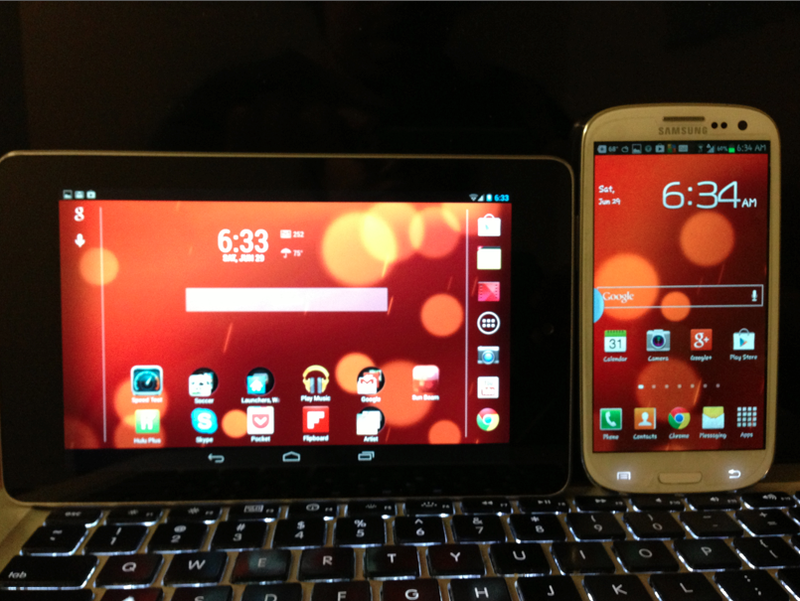 The two new apps you can find pertain to the stock Android camera (an intricate part of Android 4.3) and the Google Edition Sun Beam Live Wallpapers. The new Android 4.3 camera application provides the vanilla Android experience for those who do not have a Nexus or new Google Edition smartphone. The Android 4.3 camera provides for non-Nexus users what Nexus users have known for some time: edit capabilities and various color filters, brightness adjustments and color changes. We received a tip about the new Android 4.3 camera just a few weeks ago, when Droid Life provided photos to confirm that a Nexus 4 with Android 4.3 on board Nexus 4 with Android 4.3 on board had been spotted in the wild. 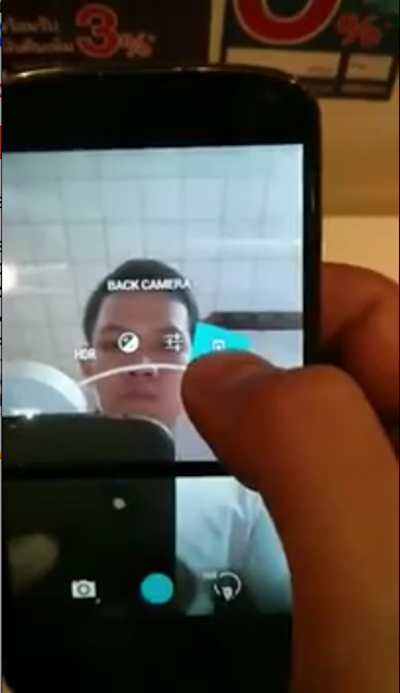 Where was the Android 4.3 camera app seen? In Thailand. This is notparticularly surprising when one realizes that the Android 4.2 Jelly Bean update was first spotted in Brazil on a Nexus 4 before it ever arrived in the United States. Now, we are pleased to report that the Android 4.3 camera app is available for those who don’t mind downloading it. You can go here for instructions on how to download the camera app. While this would be a good time to run down the features of the new Android 4.3 camera, we will refrain from doing so until Android 4.3’s official release – which should be soon to arrive some time within the next few days or weeks. If you are not comfortable with the dev-host download and want something a bit more sure, I highly recommend the Snap Camera HDR app, which Marginz Software (the maker of the app) claims now has an Android 4.3 style user interface. 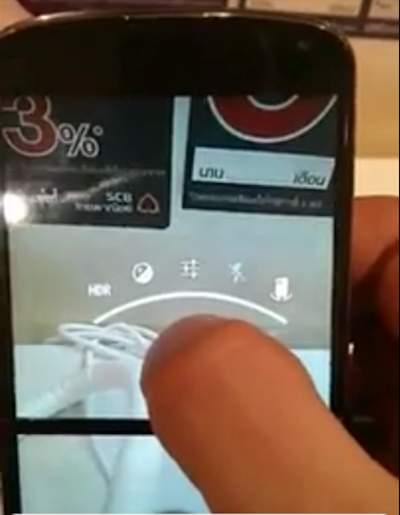 This will give you a good idea of the Android 4.3 camera app without you having to take a chance on the dev-host download. For some at the dev-host site, the camera app download has not been successful. 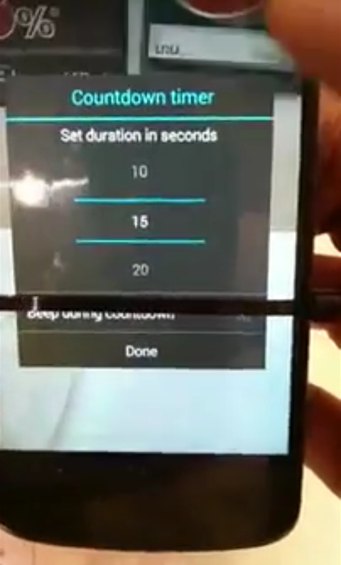 A video released by Droid Life sometime ago showed new features to the Google Nexus camera app, including a countdown timer and a scene mode with five mode selections: Action, Night, None, Sunset, and Party. 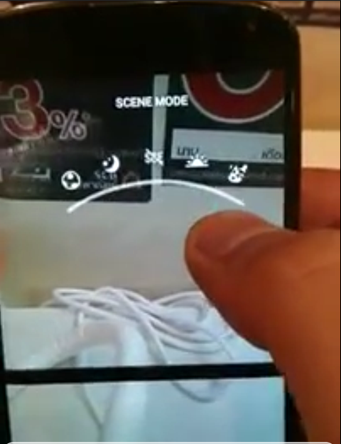 The “none” mode is simply the basic camera mode, so in some sense, you can say there are only four scene modes in the Android 4.3 camera app. To the joy of Nexus lovers, there is also a back camera mode in the Android 4.3 update. The lack of a back camera was the most often-cited flaw of the Nexus 7. We would report only half of the story if we did not mention the Android 4.3 Jelly Bean Sun Beam Live Wallpapers that are also available. There are a few developers who offer these wallpapers at the Google Play Store, but I highly recommend Wasabi’s Sun Beam Wallpapersabove them all. Wasabi has excellent work at the Play Store, and is famously known for his Xperia Z wallpaper, among others. If you want to download safe wallpapers that are quality, it doesn’t get much better than Wasabi’s work. One of the biggest complaints with the Sun Beam wallpaper themes as with any is that live wallpapers drain battery life. I’ve found that you can alleviate some of the battery drain by placing the wallpaper on “slow” animation in the app settings. The faster the live wallpaper, the harder your battery has to work in order to sustain it. 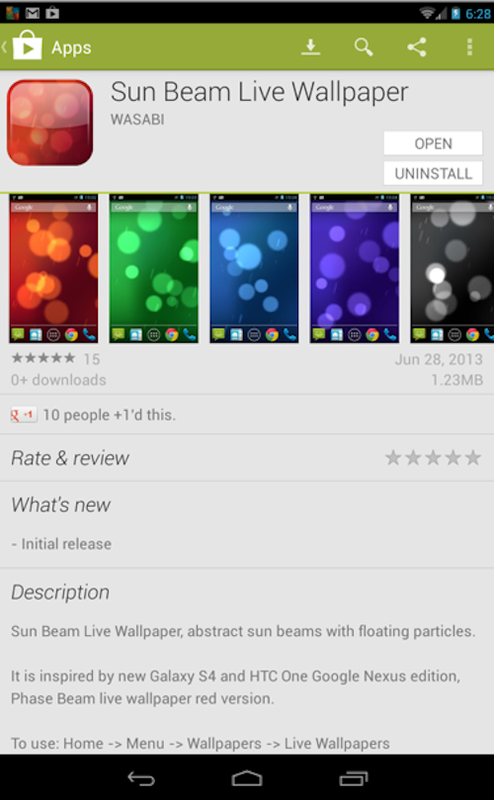 Have you taken a tour through the Google Play Store for Sun Beam wallpapers? Which ones have you found to be most interesting? Let us know in the comments.